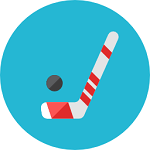 The NHL Western Conference is one of the two conferences that make up the National Hockey League. It’s made up of four hockey divisions, along with the Eastern Conference’s four divisions. Formerly known as the Clarence Campbell Conference, this conference features NHL teams from the Eastern regions of North America. The West conference is in two divisions – the Pacific and Central divisions. It has 15 teams in total, with eight teams in the Pacific division and seven teams in the Central division. 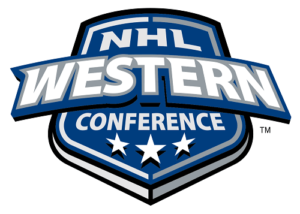 In this guide on the NHL Western Conference, we’ll be taking a look at the conference’s history, the best betting odds and tips, and the NHL Western Conference standings. We’ve rounded up some of the top sportsbooks for betting on the NHL Western Conference on the net. These sports betting sites have the best odds on your favorite West Conference teams. Moreover, US bettors can find some great bonuses, promotions, and free bets at these great sites. This NHL conferences was created in 1974 and was known as the Clarence Campbell Conference. This was during the time when the NHL was realigning its teams into two conferences with four divisions. They did this because the way the divisions were structured had very little resemblance to their geographical locations. The realignment of teams in 1981 to better look like the geographical locations of the teams came about. Then, since 1993, the names now match their geographical location. The Western Conference’s championship trophy kept the original division’s name – Clarence S. Campbell Bowl. In the Campbell Conference, the divisions were called the Patrick and Smythe Division. In 1981, the Patrick Division moved to the Prince of Wales Conference (now the Eastern Conference) and the Norris Division was added. Then, in the renaming that happened in 1993, they came to be known as the Pacific and Central Divisions. As previously mentioned, there are 15 NHL Western Conference Teams divided into two divisions, the Central and Pacific. The teams in the West are listed below. Recently, the Vegas Golden Knights have been dominating the NHL Western Conference standings. The Winnipeg Jets are the team to watch in the coming seasons. They’re big, have skill, but lack experience unlike the Golden Knights. The Golden Knights are this season’s favorites to win the NHL Western Conference championship. Some sportsbooks have them at +500. Although, it looks like sports betting sites think the Winnipeg Jets will get the better of them this season – their odds are up to +550 at some sportsbooks. The sleeper pick of the 2018-19 season are the Colorado Avalanche NHL team. They were coming back from one of the worst seasons in NHL history in 2016-17. They made it to the playoffs in the 2018-19 season, so be on the lookout for them. Some sportsbooks have placed them at +2100, making them an attractive sleeper pick. Named after the conference’s first title, the Clarence S. Campbell Bowl is the trophy every NHL Western Conference team is slugging it out for. Campbell is the third president of the National Hockey League. He led the league from 1946 to 1977.